Lays with Mario Kart? Mario Kart with Lays? A Reddit contributor’s posted image (link) of a Mario Kart and Lay’s potato chips promotion has led us to think who is promoting for whom. Is it “Grab a Lay’s for your Mario Kart night”? Or “Grab a Mario Kart for your Lay’s game night”? 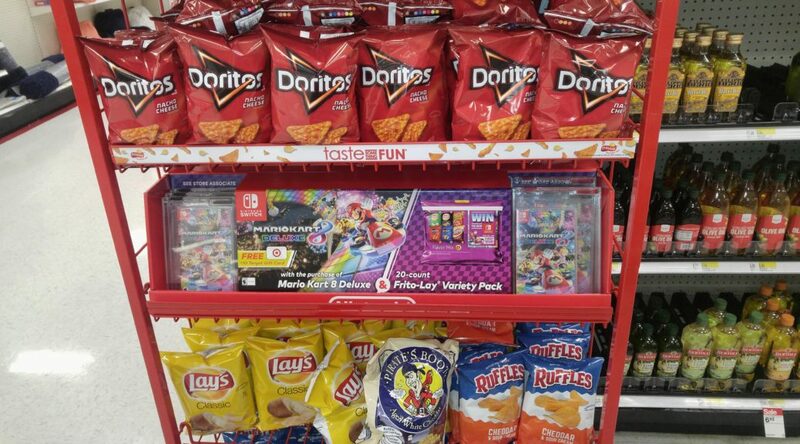 While this is not Doritos/ Lay’s first time promoting with games, placing them on the same rack is an uncommon sight. A Redditor also commented that this was the works of Nintendo and that they personally placed it there. That’s actually set up by Nintendo. They send representatives to the stores to set those up themselves. Source: I work at a Target in Electronics and had to help the rep set it up. 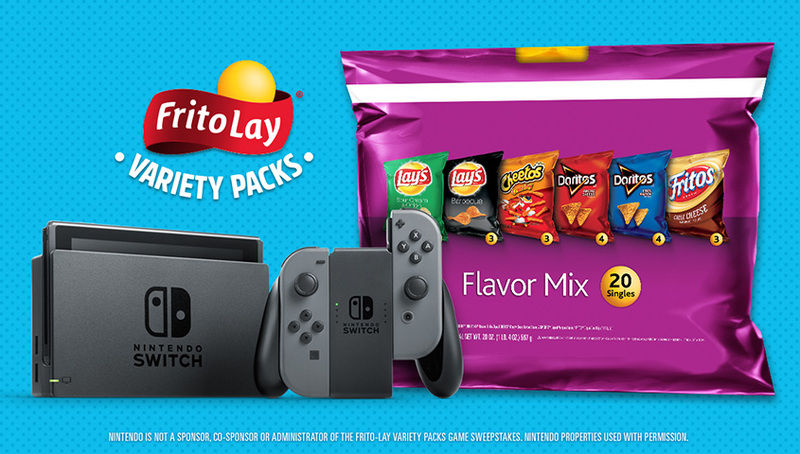 Nintendo is also currently running a promotion with Frito-Lay’s to giveaway one Nintendo Switch and a game every 6 hours in the States. To qualify, just purchase a Frito-Lay Variety Pack and key in the necessary information on their promotion website. Hurry because promotion ends 8th July 2017. For more information, you can visit their webpage here.